CONTENT is still the KING and Google has proved this all over again with their new set of updates constituted together in the brand-new Panda 4.1 their new take on the earlier Panda 4.0. This stress of this most used search engine has always been on presenting the most relevant information to the viewers. It is again clear from this latest presentation from their stables. Through the years, numerous updates were unveiled from time to time each one making the website designers, programmers, and content presenters a little more conscious regarding quality. The first Algorithm Update Panda 1.0 came out in the year 2011, which impacted approximately 12% of the overall search results. Since then, numerous such revisions came out each one stressing a little more one the relevancy and quality of presented content. Panda Update 4.0 was the 26th update in this long line with differing impacts on different language websites with 7.5% effects on English-language sites, impacting the searches. Now, the 27th update has just rolled in promising an extra tightening of noose on content presentation. The recent updates work as a filter of sorts to separate low-grade content from the genuine and the relevant ones. There will be no more special treatments based on the size of the website as content will ultimately prevail. Good news is that small to medium sized websites now will at last get a chance to come out of the shadows of more established brands and their sites. They will now be recognized and seen on their own based on the power of attractive content. 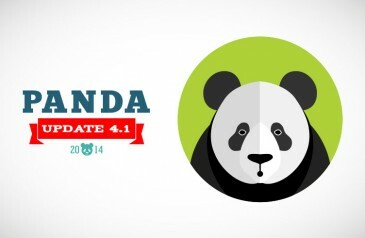 Panda Update 4.1 brings a mixed bouquet for websites. Those who got the wrong end of the stick during the earlier updates now get a chance to shed their shroud of ignominy and redeem their image and ranks as well. Ensure this now, and within a week there will be a marked improvement in website ranking on Google searches! Naturally, this leads to immediate increase in the traffic flow to the site as well. However, things don’t look this good for websites that are using Black Hat SEO techniques or tenaciously holding onto the top ranks in spite of substandard content. This time, they will not get off lightly, as Google has strong identification measures in place to pinpoint these websites and levy penalties on them. They will immediately start seeing their site traffic going down! So if you start seeing a dip in ranks from your current TOP 10 position suddenly, don’t be surprised…….., it’s simply Panda update doing its work. Previous Panda 4.0 was a major update this one however seems a minor one in comparison, as indicated by the numbering 4.1. Irrespective of this, website presenters cannot take the changes lightly since their very success depends upon it!